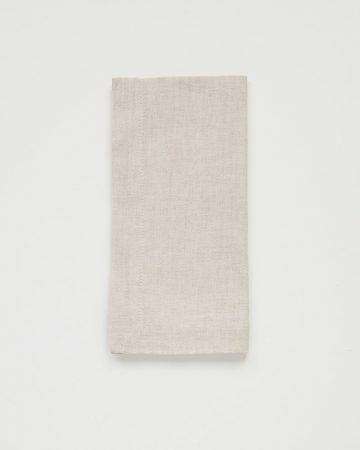 Mungo Huck cotton and linen kitchen towel. 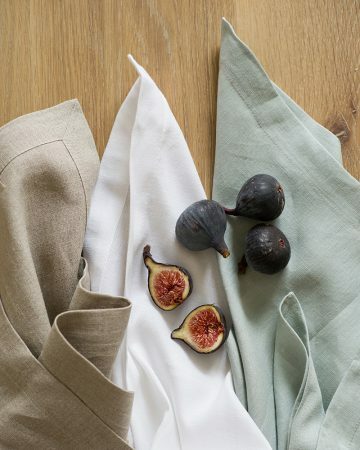 Generously sized, absorbent and stylish. 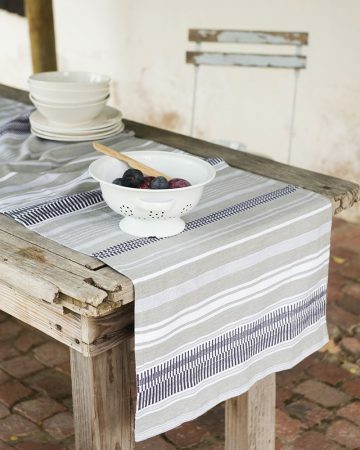 The Mungo Huck kitchen towel is woven with a traditional huck-a-back weave. 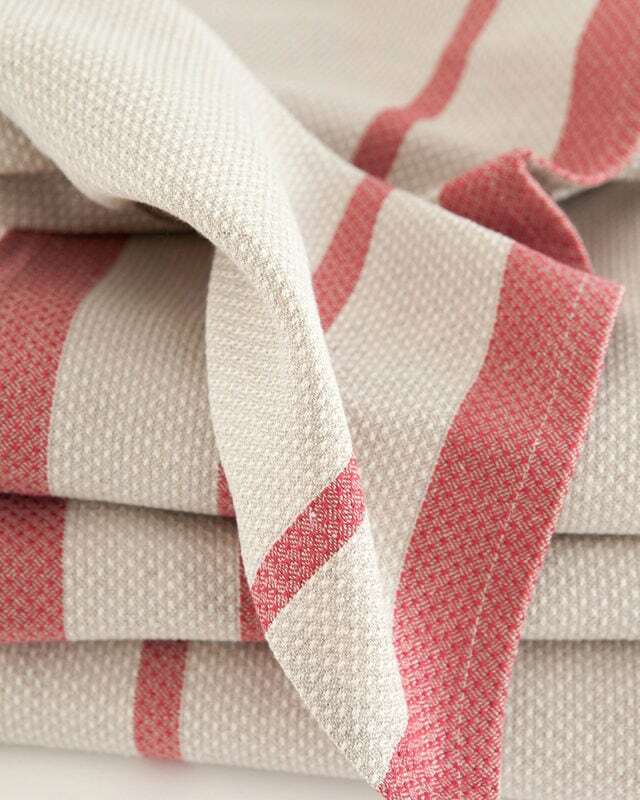 This historical weave can be traced back to ancient textile traditions with examples found all over the World, but especially in Germany & Scandinavia. 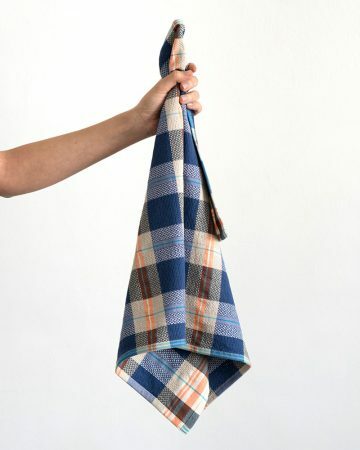 The huck-a-back weave might have got its name from traditional Hucksters, pedlars who travelled from village to village selling wares, including linen, much like the delivery man who will arrive at your door some time soon. 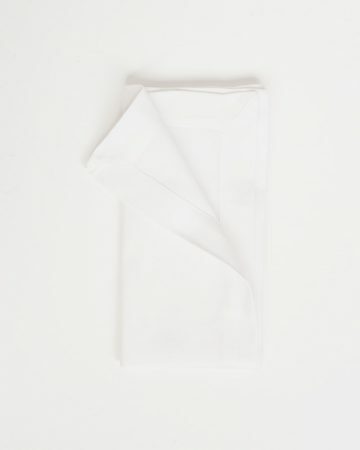 Known for its durable and absorbent qualities it has been associated with toweling long before the invention of the mass produced terry towel. 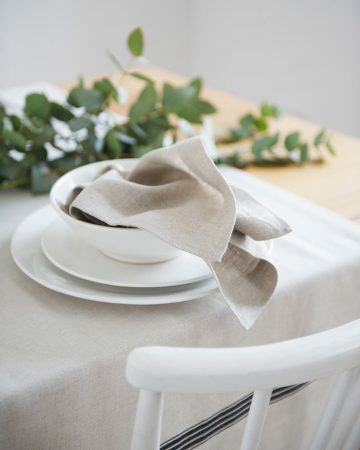 The loose, uneven surface is absorbent and dries off quickly. 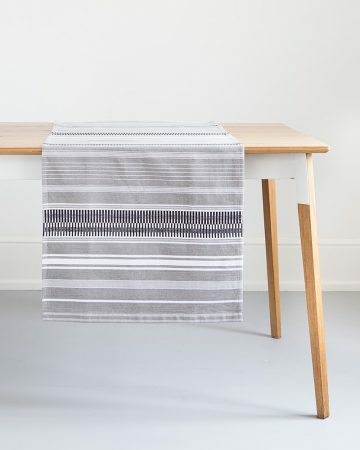 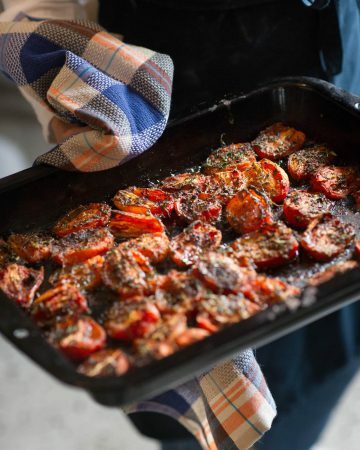 It’s thin, lightweight nature assures that the Mungo Huck towel won’t take up too much space in your kitchen linen drawer. 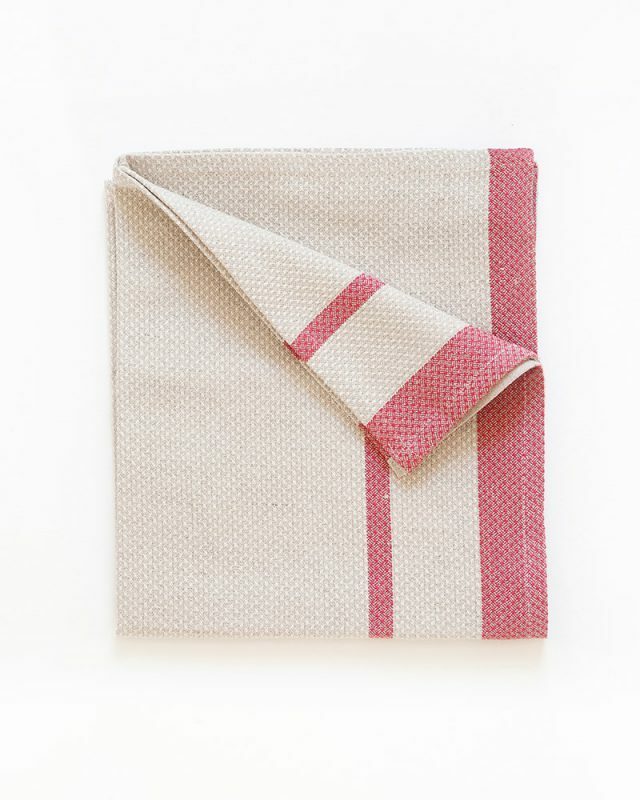 But it’s not just functionality that this tea towel boasts, the subtle colour combinations and stripe detail make it an elegant kitchen or bathroom addition. 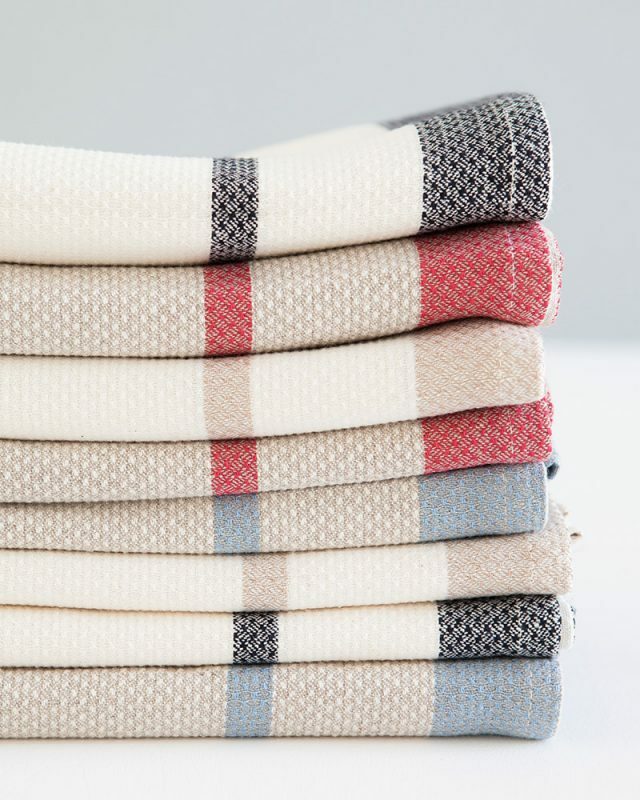 Like all linen fibre products, the Mungo Huck gets softer with every wash and grows old gracefully.